It desired that the government furnish year-wise data to the panel within three months on the expenditure incurred on officers by the Centre and state governments. The Committee was dismayed to note that no efforts had been made by the govt to assess the contribution. 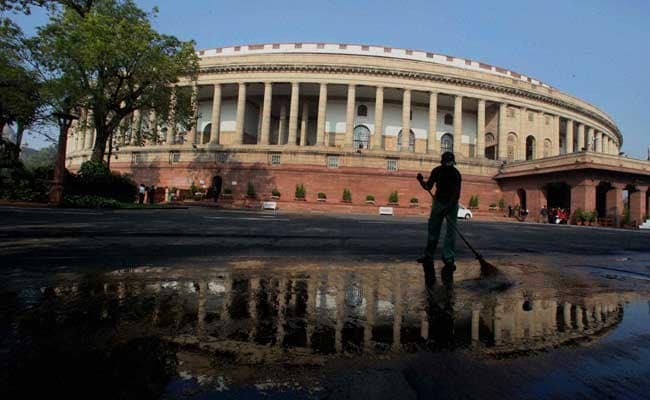 New Delhi: A Parliamentary panel has expressed its "strong displeasure" to the government for not providing details of the expenditure incurred on the salaries and allowances of IAS, IPS and other officers. The Committee on Estimates, in a recent report, suggested an effective mechanism to assess the contribution of officers from the all-India services -- the Indian Administrative Service (IAS), Indian Police Service (IPS) and Indian Forest Service (IFS) -- to national growth. "The Committee expresses their strong displeasure (to the government) for not providing the details of total expenditure incurred on salary and allowances of the officers of all India services in states and the Centre," said the report of the panel, headed by senior BJP leader Murli Manohar Joshi. The committee was "dismayed" to note that no efforts had been made by the government to assess the contribution of these services. "Not only that, no study in regard has ever been made even by some outside agency," reads the report on "Estimates and performance review of all India services". The panel noted that there was no mechanism to assess the expenditure made on IAS, IPS and IFS officers by the Centre and state governments and their contribution towards the country's Gross Domestic Product (GDP) growth in relation to the cost incurred on their functioning. "The committee are of the strong view that the officers of all India services should be fully committed to the citizens' concern and public good and reflect the hopes and aspirations of the public they serve and as such they should be held accountable for accomplishment of the projects/ programmes/policy issues being handled as per their specific assignments particularly when they are being paid from the exchequer's money," the report said. The panel emphasised the need for evolving an effective mechanism with various parameters that are primarily outcome- oriented and citizen-centric so as to assess the contribution of the services to national growth, it said in the report submitted to the Lok Sabha recently. "They (committee members) also recommend that, if need be, experts from premier institutions like IIMs, IITs, etc. may either be involved or outsourced to carry out such assessment for evolving an effective mechanism in this regard. The concrete action on the suggested lines should be taken and the Committee (be) apprise(d) accordingly," the report said. The Ministry of Personnel was not able to furnish specific data with regard to expenditure met on salary, allowances, pension, perks as well as cost incurred on creating infrastructure such as offices and furniture for the civil servants, it noted. The government, however, furnished scattered data of salary and allowances of these officers in respect of some of the ministries as well as the percentage share of emoluments of government employees at the Centre and in the states in the GDP at current prices, the panel said. According to the data, the share, which was 7.97 per cent during 2011, increased to 8.15 per cent in 2014-15, it added. "From the overall position of expenditure met on government employees, it can be stated that a huge expenditure is met on wages of all India services officers besides the expenditure ... on other infrastructure like offices etc. for bureaucracy," the report said. The total authorised cadre strength of the IAS in 1951 was 1,232 and grew to 4,599 during 1981. In 2016, the sanctioned strength rose to 6,396. The total authorised strength of the IPS and IFS was 4,863 and 3,152 respectively, as on January 1, 2017.